Orville Peck will release his debut full-length Pony later this week, and the eclectic country-leaning musician has just unveiled a video for album cut "Turn to Hate." The video was directed by Peck and Carlos Santolalla, and filmed in Los Angeles back in December. 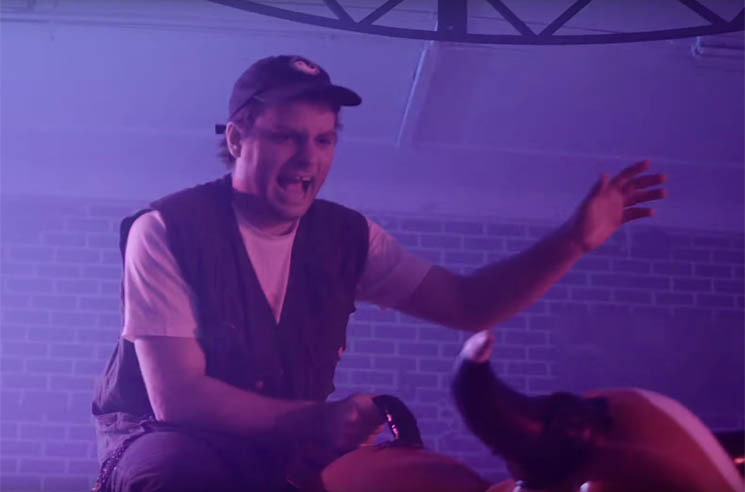 It sees the masked troubadour serenading a room full of misfits at a country bar — including Here Comes the Cowboy singer Mac DeMarco, who tries his hand at the mechanical bull. Watch the video for "Turn to Hate" below. Pony is out Friday (March 22) via Royal Mountain Records/Sub Pop.